It’s the NFL’s most historic stadium, the Yankee Stadium of the NFL, home to the best fans in the NFL and one of the most storied franchises in sports, the Green Bay Packers. Lambeau Field has been the home of the Green Bay Packers for more than five decades and four Super Bowl Champion teams. From the Packers inception in the 1920s until 1956, the team played at East (old City) Stadium. After the 1952 season, the team shifted some of its games to the new County Stadium in Milwaukee. The stadium eventually became home of the Milwaukee Braves (MLB) and later the Milwaukee Brewers. By 1955, the NFL threatened to move the Packers permanently to Milwaukee’s County Stadium, if a new stadium was not built for the team in Green Bay to replace City Stadium. The primary problem with the stadium was its limited seating capacity of only 25,000. In 1956, a bond was approved allowing construction of a new football stadium in Green Bay. Named City Stadium, the new facility was completed in just one year. The Packers played their first game at City Stadium on September 29, 1957 against the Chicago Bears. City Stadium had a capacity of 32,000 when it opened and it was the first stadium built specifically for a NFL team. Although the Packers had a new stadium in Green Bay the team continued to play several games at County Stadium in Milwaukee until 1994. Since its opening in 1957, fans attending games have seen many expansions occur. By 1961, the capacity at City Stadium increased to over 38,000. Two years later, the capacity was once again increased to over 42,000. In 1965, City Stadium was renamed Lambeau Field, after the death of the Packers founder, E.L. Lambeau. During the same year, the stadium’s capacity was increased to 50,852. Once this addition was completed, Lambeau Field had its basic shape as the entire field was enclosed by seats. In 1985, 72 luxury suites were added, along with additional seating areas, bringing the capacity to over 56,000. In 1990, even more additions were made including 80 more luxury suites were added along with over 1,900 club seats along the top rim of the stadium. In 1993, the first video/scoreboard was installed above the south endzone and in 1995, 90 more luxury suites were added. NFL MVP QB Brett Farve in 1995, ’96, ’97. The “Ice Bowl” on December 31, 1967 between the Packers and Cowboys. Instead of opting to build a new stadium, in January 2000, the Packers announced that they would extensively renovate and expand Lambeau Field. Between 2001 and the start of the 2003 season, Lambeau Field underwent a massive renovation to make it more fan and player friendly. The main concourse was expanded, a new upper concourse was added with ramps and elevators, and more restrooms were added. In addition, nearly 12,000 seats were added along the top of the stadium. This included club seats and luxury suites. An atrium, known as “Titletown”, was built as part of the new facade of Lambeau Field. This area includes a Packers Hall of Fame and a team store. A new Packers locker room, football operations facility and administrative offices were also constructed. These renovations at Lambeau Field were completed by the start of the 2003 season. The latest expansion project at Lambeau Field was completed by the 2013 season and increased the seating capacity to over 80,000. This expansion added 7,000 seats in four levels in the south endzone and included a rooftop view platform in the north endzone. The $130 million expansion, paid for by the Packers, also included two new HD video/scoreboards. 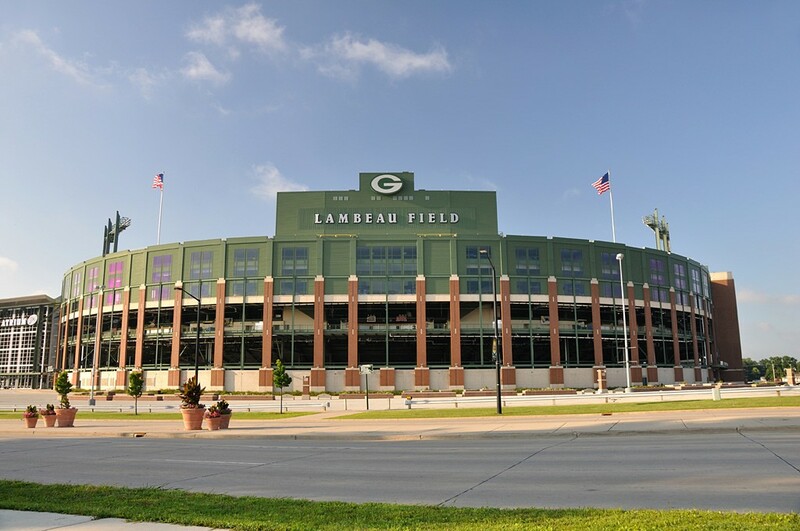 Over its 50 years of existence, Lambeau Field has been the site of many historical moments, including the first NFL Championship game in Green Bay in 1961 and the “Ice Bowl” in December 1967, when the temperature was 13 degrees below zero. It is also the site where legendary coach Vince Lombardi coached the great Packers teams of the 1960s. 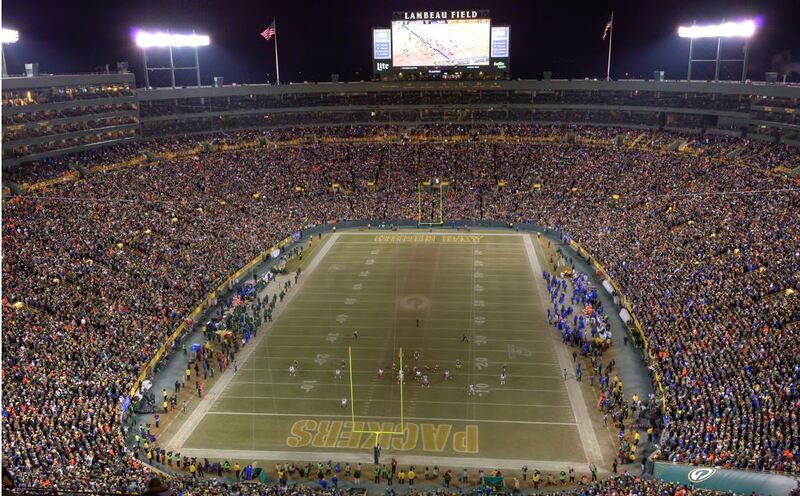 Lambeau Field is by far one of the NFL’s most recognizable stadiums. The Green Bay Packers won their fourth Super Bowl, Super Bowl XLV, on February 6, 2011.